United World Wrestling passed down news just the other day how the org has updated its “uniform” design in an attempt to appease the IOC’s recommendations on “innovation”, or whatever that means. Aesthetically, is this really that big of a deal? Maybe, at least to a certain extent. It is true that at times, if you don’t know who the two wrestlers are and also happen to not know much of anything else, including what sport you are watching – then sure, it can be tough to tell which country is which. That whole “red and blue” thing is just so confounding without the benefit of a scoreboard (which is ironic in its own way, considering scoring displays are heavily regulated). But okay – we get it, we get it. 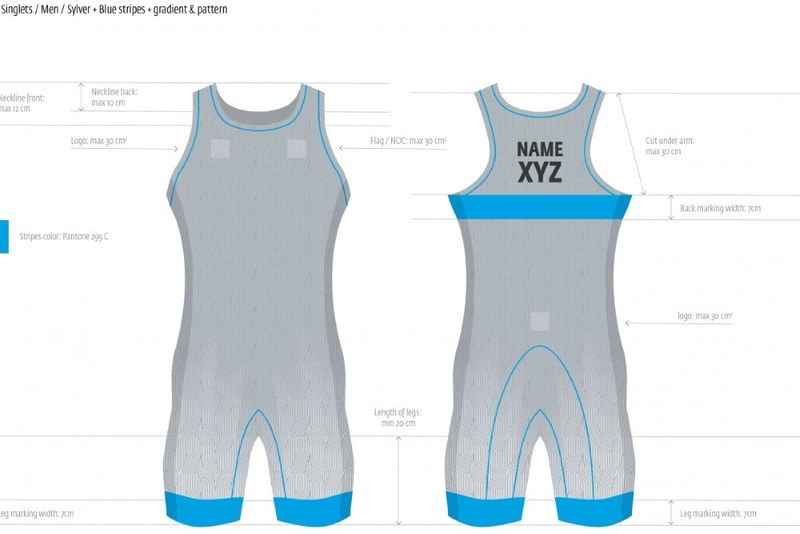 UWW wants to spice things up a little bit, so allowing for some national colors to be featured in a stripe or some such on singlets is a (tiny) step in the right direction. Take the Olympics, for example. The Olympics represent the one time every four years when casual viewers who usually don’t watch the sport start tuning in. Plus, international events are streamed all over creation at this point. So if UWW believes that imparting a couple of stripes and trim will help new fans be able to tell which wrestlers are from which country, who’s to argue? It definitely won’t hurt, that’s for sure. Is this mightily important? No. Baby steps, I guess. The problem with this topic is that it leads to a giant rabbit hole of discourse regarding uniform requirements. There has been a whole lot of heavy talk for a few years now about how international wrestling should do away with singlets and adopt the grappling/MMA look of board shorts and rash guards. With mixed martial arts so popular and submission grappling tournaments such a hotbed of post-wrestling participation, it is natural for these two worlds to collide. Is there an aesthetic advantage to shirts and shorts? Who knows? I’m not doing the research on it. Shirts and board shorts are the more contemporary choice. However, it bears recognizing that there are still plenty of wrestlers who want to bring back low-cut singlets for crying out loud, too. Those are two pretty extreme uniform styles. Perhaps the best you can do is blend both together, say by giving wrestlers a tight lycra tank top and a pair of board shorts, and sending them on their way. This is all besides the point. The point, if there is one, is that there is still a perception problem with international wrestling, especially in the West. You can thank decades of shady officiating, slimy handshakes, and dopey criteria rules for most of it. You want to sharpen up wrestling’s image and make it more attractive to the flashy MMA/grappling subset that is stealing a lot of your talent? Then open up the scoring, get rid of the tie-breakers that must have come from the “good idea fairy”, and let the sport express itself. Look, you can outfit wrestlers in singlets, jumpsuits, or Santa costumes and none of it will matter if the credibility and quality of the sport is lacking in other areas. Maybe something like an update to the uniform scheme doesn’t seem like a big deal and it shouldn’t. That’s not the issue, though. What is, is the idea that this is going to make any headway in elevating the sport. But hey, whatever, press releases are fun to send out.